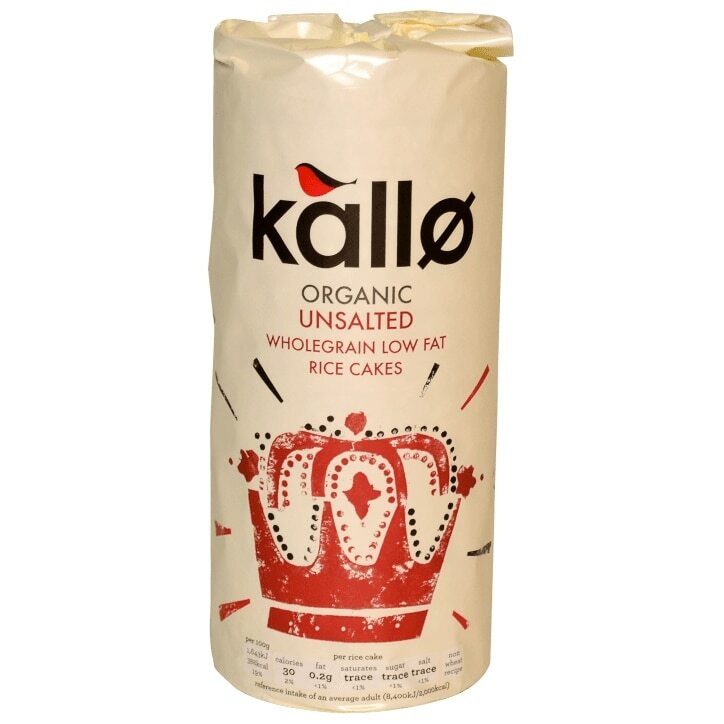 Kallo Organic Unsalted Rice Cakes are made from 100% natural ingredients and we only use organic wholegrain brown rice for the very best taste. You can layer them up with all your favourite toppings and enjoy as a wholesome snack or a deliciously light meal that's full of flavour and fills you up. Kallo Organic Unsalted Rice Cakes is rated 4.6 out of 5 by 5. Rated 5 out of 5 by Sand29 from Great taste and very healthy We have been buying these rice cakes for a long time now and they are still the best around. No sugar, no salt and low fat so they're really healthy and taste great. Rated 5 out of 5 by Kate09 from Great Nice, not too hard in texture.these rice cakes good for sweet& savoury toppings. Loved them! Rated 4 out of 5 by alison21 from 28 calories of crunchiness. With only 28 calories per slice a must for dieters. These definately need a topping. Very nice though with a crunch.